the San Andreas Fault in the Carrizo Plain, northwest of Los Angeles. 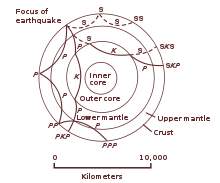 An Earthquake (also known as a quake, tremor or temblor) is motion of the Earth's crust which occurs with a sudden release of energy that creates seismic waves. The seismicity, seismism or seismic activity of an area refers to the frequency, type and size of earthquakes experienced over a period of time. Tectonic earthquakes occur anywhere in the earth where there is sufficient stored elastic strain energy to drive fracture propagation along a fault plane. Dr. Vineet Gahlaut, who heads the National Centre for Seismology, quoted on Irin News (August 24, 2015), "After Nepal, is South Asia prepared for the Big One?" It may well be on such a night of clouds and cruel colors that there is brought forth upon the earth such a portent as a respectable poet. You say you are a poet of law; I say you are a contradiction in terms. I only wonder there were not comets and earthquakes on the night you appeared in this garden. Earthquakes traveling through the interior of the globe are like so many messengers sent out to explore a new land. The messages are constantly coming and seismologists are fast learning to read them. - Reginald Aldworth Daly. Earthquakes traveling through the interior of the globe are like so many messengers sent out to explore a new land. The messages are constantly coming and seismologists are fast learning to read them. Our earth is very old, an old warrior that has lived through many battles. Nevertheless, the face of it is still changing, and science sees no certain limit of time for its stately evolution. Our solid earth, apparently so stable, inert, and finished, is changing, mobile, and still evolving. Its major quakings are largely the echoes of that divine far-off event, the building of our noble mountains. The lava floods and intriguing volcanoes tell us of the plasticity, mobility, of the deep interior of the globe. The slow coming and going of ancient shallow seas on the continental plateaus tell us of the rhythmic distortion of the deep interior-deep-seated flow and changes of volume. Mountain chains prove the earth's solid crust itself to be mobile in high degree. And the secret of it all—the secret of the earthquake, the secret of the “temple of fire,” the secret of the ocean basin, the secret of the highland—is in the heart of the earth, forever invisible to human eyes. I happened to be [on February 1835] on shore [in Chile], and was lying down in the wood to rest myself. It came on suddenly, and lasted two minutes; but the time appeared much longer. The rocking of the ground was most sensible. The undulations appeared to my companion and myself to come from due east; whilst others thought they proceeded from south-west; which shows how difficult it is in all cases to perceive the direction of these vibrations. There was no difficulty in standing upright, but the motion made me almost giddy. It was something like the movement of a vessel in a little cross ripple, or still more like that felt by a person skating over thin ice, which bends under the weight of his body. 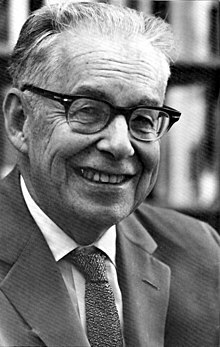 A bad earthquake at once destroys the oldest associations: the world, the very emblem of all that is solid, has moved beneath our feet like a crust over a fluid; one second of time has conveyed to the mind a strange idea of insecurity, which hours of reflection would never have created. But an extraordinary event deeply disturbed the boy's peace of mind for the first time. On the 1st of November, 1755, the earthquake at Lisbon took place, and spread a prodigious alarm over the world, long accustomed to peace and quiet. A great and magnificent capital, which was at the same time a trading and mercantile city, is smitten without warning by a most fearful calamity. The earth trembles and totters; the sea foams; ships dash together; houses fall in, and over them churches and towers; the royal palace is in part swallowed by the waters; the bursting land seems to vomit flames, since smoke and fire are seen everywhere amid the ruins. Sixty thousand persons, a moment before in ease and comfort, fall together; and he is to be deemed most fortunate who is no longer capable of a thought or feeling about the disaster. The flames rage on; and with them rage a troop of desperadoes, before concealed, or set at large by the event. The wretched survivors are exposed to pillage, massacre, and every outrage; and thus on all sides Nature asserts her boundless capriciousness. Intimations of this event had spread over wide regions more quickly than the authentic reports: slight shocks had been felt in many places; in many springs, particularly those of a mineral nature, an unusual receding of the waters had been remarked; and so much the greater was the effect of the accounts themselves, which were rapidly circulated, at first in general terms, but finally with dreadful particulars. Hereupon the religious were neither wanting in reflections, nor the philosophic in grounds for consolation, nor the clergy in warnings. So complicated an event arrested the attention of the world for a long time; and, as additional and more detailed accounts of the extensive effects of this explosion came from every quarter, the minds already aroused by the misfortunes of strangers began to be more and more anxious about themselves and their friends. Perhaps the demon of terror had never so speedily and powerfully diffused his terrors over the earth. The boy, who was compelled to put up with frequent repetitions of the whole matter, was not a little staggered. God, the Creator and Preserver of heaven and earth, whom the explanation of the first article of the creed declared so wise and benignant, having given both the just and the unjust a prey to the same destruction, had not manifested himself by any means in a fatherly character. In vain the young mind strove to resist these impressions. It was the more impossible, as the wise and scripture-learned could not themselves agree as to the light in which such a phenomenon should be regarded. Most of these Mountains and Inland places whereon these kind of Petrify'd Bodies and Shells are found at present, or have been heretofore, were formerly under the Water, and that either by the descending of the Waters to another part of the Earth by the alteration of the Centre of Gravity of the whole bulk, or rather by the Eruption of some kind of Subterraneous Fires or Earthquakes, great quantities of Earth have been deserted by the Water and laid bare and dry. ...the surface of the earth was subject to alterations by natural events, such as earthquakes, volcanoes, and the erosive action of wind and water, operating over very long periods of time. Changes in the land created new environments and fostered adaptations in life forms that could lead to the formation of new species. Without the demonstration of the accumulation of multiple crustal events over time in Chile, the biologic implications of the specific species of birds and tortoises found in the Galapagos Islands and the formulation of the concept of natural selection might have remained dormant. Then he said to them: “Nation will rise against nation, and kingdom against kingdom. 11 There will be great earthquakes, and in one place after another food shortages and pestilences; and there will be fearful sights and from heaven great signs. That’s great, it starts with an earthquake, birds and snakes, an airplane — Lenny Bruce is not afraid. Eye of a hurricane, listen to yourself churn — world serves its own needs, dummy serve your own needs. At half-past two o'clock of a moonlit morning in March, I was awakened by a tremendous earthquake, and though I hadn ever before enjoyed a storm of this sort, the strange thrilling motion could not be mistaken, and I ran out of my cabin, both glad and frightened, shouting, "A noble earthquake! A noble earthquake" feeling sure I was going to learn something. - John Muir. The shocks were so violent and varied, and succeeded one another so closely, that I had to balance myself carefully in walking as if on the deck of a ship among waves, and it seemed impossible that the high cliffs of the Valley could escape being shattered. In particular, I feared that the sheer-fronted Sentinel Rock, towering above my cabin, would be shaken down, and I took shelter back of a large yellow pine, hoping that it might protect me from at least the smaller outbounding boulders. John Muir in: "John Muir and the March 26, 1872, Owens Valley Earthquake". Just as the spectroscope opened up a new astronomy by enabling the astronomer to determine some of the constituents of which distant stars are composed, so the seismograph, recording the unfelt motion of distant earthquakes, enables us to see into the earth and determine its nature with as great a certainty, up to a certain point, as if we could drive a tunnel through it and take samples of the matter passed through. Damage during 2010 Haiti earthquake. I don't know why God would allow an earthquake of this magnitude to affect an already impoverished country. But I do know that God will bring glory to Himself and help for His children through this disaster. As seismologists gained more experience from earthquake records, it became obvious that the problem could not be reduced to a single peak acceleration. In fact, a full frequency of vibrations occurs. - Charles Francis Richter. Seismometer used for measurement of magnitude of earthquake. - I think that harping on [earthquake] prediction is something between a will-o'-the-wisp and a red herring. Attention is thereby diverted away from positive measures to eliminate earthquake risk. -Charles Francis Richter. The most remarkable feature about the magnitude scale was that it worked at all and that it could be extended on a worldwide basis. It was originally envisaged as a rather rough-and-ready procedure by which we could grade earthquakes. We would have been happy if we could have assigned just three categories, large, medium, and small; the point is, we wanted to avoid personal judgments. It actually turned out to be quite a finely tuned scale. Most loss of life and property has been due to the collapse of antiquated and unsafe structures, mostly of brick and other masonry. … There is progress of California toward building new construction according to earthquake-resistant design. We would have less reason to ask for earthquake prediction if this was universal. In plotting earthquake measurements] the range between the largest and smallest magnitudes seemed unmanageably large. Dr. Beno Gutenberg then made the natural suggestion to plot the amplitudes logarithmically. When Benjamin Franklin invented the lightning-rod, the clergy, both in England and America, with the enthusiastic support of George III, condemned it as an impious attempt to defeat the will of God. For, as all right-thinking people were aware, lightning is sent by God to punish impiety or some other grave sin—the virtuous are never struck by lightning. Therefore if God wants to strike any one, Benjamin Franklin [and his lightning-rod] ought not to defeat His design; indeed, to do so is helping criminals to escape. But God was equal to the occasion, if we are to believe the eminent Dr. Price, one of the leading divines of Boston. Lightning having been rendered ineffectual by the “iron points invented by the sagacious Dr. Franklin,” Massachusetts was shaken by earthquakes, which Dr. Price perceived to be due to God’s wrath at the “iron points.” In a sermon on the subject he said,“In Boston are more erected than elsewhere in New England, and Boston seems to be more dreadfully shaken. Oh! there is no getting out of the mighty hand of God.” Apparently, however, Providence gave up all hope of curing Boston of its wickedness, for, though lightning-rods became more and more common, earthquakes in Massachusetts have remained rare. I was impressed with how much history could be woven around the theme of an earthquake. This was learning made easy because it was so enjoyable. The Earth is God's pinball machine and each quake, tidal wave, flash flood and volcanic eruption is the result of a TILT that occurs when God, cheating, tries to win free games. This page was last edited on 27 February 2019, at 18:45.